I can’t stress the enough the importance of sizing and regulating the gas pressures for the high performance grills that we offer at AOK. Just like high performance vehicles they require the proper amount of fuel, pressure and oxygen to function to MFG specs. One of the biggest problems that we address in the field is the wrong gas pressure and volumes of gas being delivered to the grill. Typically symptoms are low heat (Low Pressure and or Volume), uneven heat (Restricted Oxygen) or extreme high heat ( High Pressure and Volume). 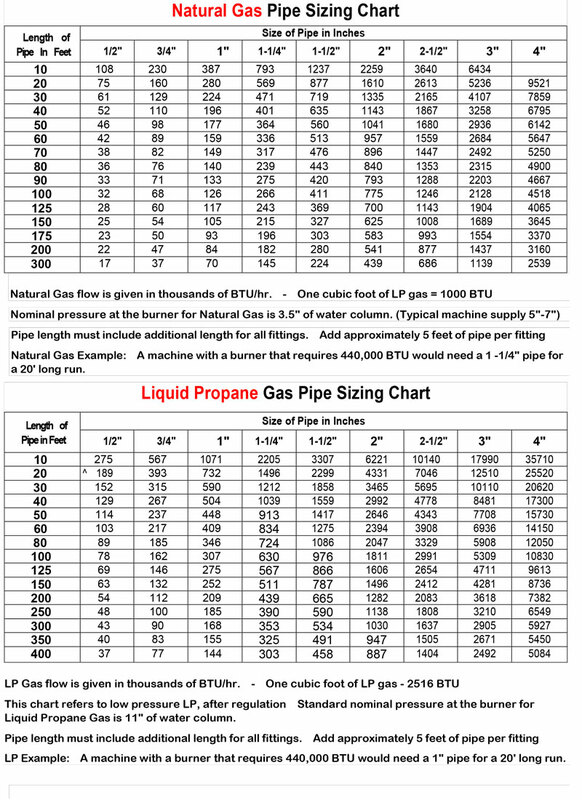 Understanding how to size your pipe and pressure can be easy to solve since there are many charts and calculations to review, however, even the material the pipe is made with can make a big difference in the amount of gas delivered. Since many of the installations require the gas line to be buried the importance of the right material and size is critical. AOK Tip: Total gas volumes are determined by adding all the gas volumes together of each appliance being installed. I suggest over sizing the line by as much as 80% or more to accommodate future appliances such as gas heaters, hot water heaters or additional appliances. Use of a licensed Plumber is highly recommended to get the maximum performance from your Gas Appliances.